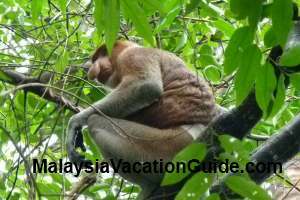 Lambir Hills National Park is a popular destination for the locals especially during the weekends and public holidays as it is only 30 minutes drive away from the town of Miri. It is an ideal park for picnic and jungle trekking as there are many waterfalls and well-marked trails in this dipterocarp rain forest. It covers an area of about 6,949 hectares and was given the park status in 1975. The most popular waterfall is the Latak Waterfall which is about 15 minutes walk from the park headquarters. It falls from a height of 25 m into a large pool which is good enough for swimming. Basic changing facility and picnic shelters are provided for the convenience of visitors. The Nibong waterfall is accessible by 2 hours trek along the Pantu Trail. Other waterfalls are Pantu Waterfall, Pancur Waterfall, Tengkorong Waterfall and Dinding Waterfall. There are a total of 12 trails in this park. Take time to study the trails and go at your own pace. As most of the trails are well-marked, no guide is required except the Summit Trail. The Summit Trail will guide you to the summit of Lambir where you will be able to view a panoramic view of the forest. The trails are divided into primary, secondary and tertiary trails. The only tertiary trail is the Dinding Trail. It is always a good idea not to go jungle trekking on your own. There are over 230 species of birds in this park. Bird watchers will appreciate this park as there are many colourful and exotic birds here. Other animals include the gibbons, pigs, deer, anteater and monkeys. The park consists of many hardwood trees such as Selangan Batu and Meranti. Ferns, mosses, gingers, lichens, palms and pitcher plants also thrive here. Entrance fee is RM10 for adult and RM5 for child. Lodges with fans or air-conditioned are available at the park. Rates start from RM50 per room for two adults. Camping can be done at the campsite for up to 200 people. The cost for camping is RM5 per person. As this park is located on the main north-south highway, it is easily accessible. 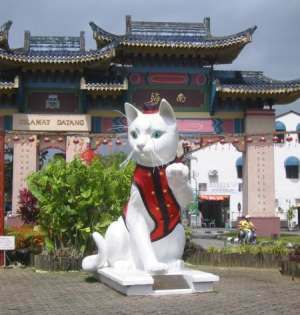 Buses are available from Miri for less than RM5 per person with a travel time of about 40 minutes. For bookings of accommodation and other enquiry, contact the park for further enquiries. 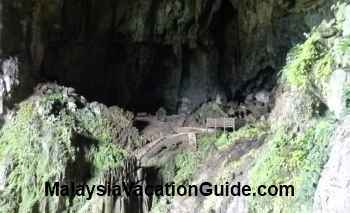 Go to the museums in Kuching and learn about the history of Sarawak.